Here in the South, July and August are two of the most sweltering months and it is important to take care of our bodies during times of extreme heat. One of the most common summertime dangers is dehydration. 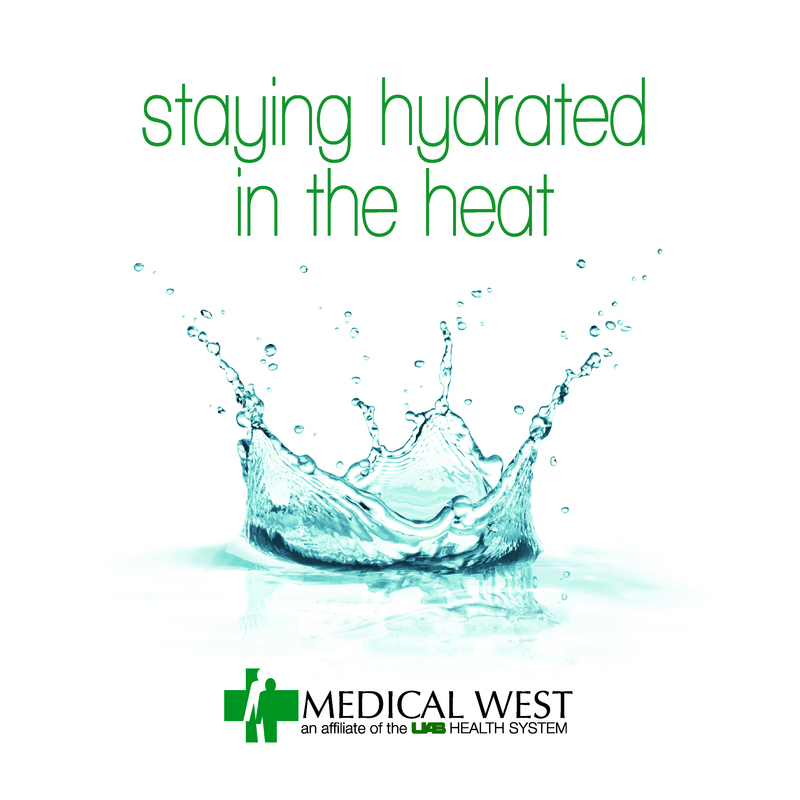 It is essential to remember that dehydration is dangerous not only to people, but pets and animals as well. 1. Muscle Cramps- You don’t have to be an athlete to get muscle cramps. Those who are minimally active and drink insufficient fluids are equally prone to cramps. Dehydration causes hypersensitivity and involuntary contraction of muscles. 2. Depression- The brain requires 85% water - more than any other organ in the body. Water deficiency in brain cells can result in an immediate cut down of the brain’s energy supply, which leads to fatigue, lethargy, and depression. 3. Constipation- After food is eaten, it is broken down in the small intestine and the non-essential portion of the food gets converted to waste. Dehydration causes the intestinal cells to extract water from the food waste in the intestines, causing the waste to become hard, leading to constipation. 4. Hypertension- High blood pressure is common in people who are chronically dehydrated. When the body’s cells lack water, the brain sends a signal to the pituitary glad to secrete vasopressin, a chemical that causes constriction of the blood vessels. This causes blood pressure to increase which leads to hypertension. 5. Kidney Stones- Dehydration can cause urine to become concentrated which causes minerals from the urine to accumulate in a crystal formation. These crystal formations get deposited in the kidneys, causing kidney stones. 6. Uremia- Adequate water in the body helps the kidneys filter waste easily while diluting urine. Insufficient water in the body makes it difficult for the kidneys to separate necessary amounts of waste away from the urine, allowing waste that should have been excreted to get trapped and circulated throughout the body. 7. Gallstones- Similarly to blood vessels compressing, dehydration can also cause contraction of bile ducts in the liver. These contractions can result in the formation of gallstones. 8. Kidney Disease- When your body is dehydrated, the kidneys reduce urine formation that causes the capillaries to constrict in areas like the heart and brain, resulting in high blood pressure. The combination of high blood pressure and urine retention causes serious kidney damage and could eventually lead to kidney disease. 9. Joint Complications- Dehydration causes the cartilage in joints to rub against each other, causing weakening and wearing over time. However, with adequate water supply and the formation of new cells, the cartilage can be repaired. Lack of water increases the delay of repair to these damaged joints and over time the cartilage can wear out completely. 10. Death- Water totals about 60% of the body’s total weight. Every single bodily function and process needs water to remain active and healthy. Severe dehydration can be fatal so it is important to notice all of the other warning symptoms and do something to fix them!